Learn about a library for Selenium Webdriver that allows you to read the content of a QR code on a webpage and use it in the subsequent test. Recently, one of my teams faced a technical problem: read a QR code from a web page to use for an authorization process. As we need to create an E2E test to guarantee the user journey, the main problem is how to read the content of a QR code, on a webpage, and use it in the subsequent test. As we use Selenium WebDriver with Java as the programming language, the main challenge was finding a library (in Java) to read the QR code. ZXing (“zebra crossing”) is an open-source, multi-format 1D/2D barcode image processing library implemented in Java, with ports to other languages. One supported 2D format is the QR code. After we've created a way to receive an URL and decode the QR Code. Read the URL through Image.IO and pass it to a BufferedImage. Pass the BufferedImage to BufferedImageLuminanceSource Zxing class. Instantiate the class HybridBinarizer, that is responsible to read the 2D barcode (QR Code), with BufferedImageLuminanceSource as a parameter and create a new BinaryBitmap, to prepare to decode the 2D barcode. Instantiate a MultiFormatReader calling the decode method passing the BinaryBitmap. The MultiFormatReader is a convenience class and will attempt to decode all barcode formats that the library supports. The result is a Result class that encapsulates the result of decoding a barcode within an image. Now we just need to find the QR Code on the page, through the element image (probably) and get the src attribute. An example may be found at the github example (in the end of this post). The code bellow is a Selenium snippet to find an element by the id "qr" (and image) and get the attribute src. After that we just pass this String to decodeQRCode method (the example above) and the result will the QR Code content. In this example the QR Code is a text "QR Code output text". Voilà! 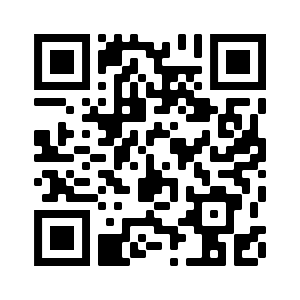 Easily we have a code that read a QR Code image on a webpage! But, if the QR Code come from a Base64 instead of URL? A few things in the code will change. Note that I have changed the method decodeQRCode to expect a String parameter. You can appy some logic to just have one method and try to realize if it's a URL or Base64 String. There's just one method to decode the image that figure out if the parameter is a URL or Base64 image and two test to assert this logic. Published at DZone with permission of Elias Nogueira . See the original article here.